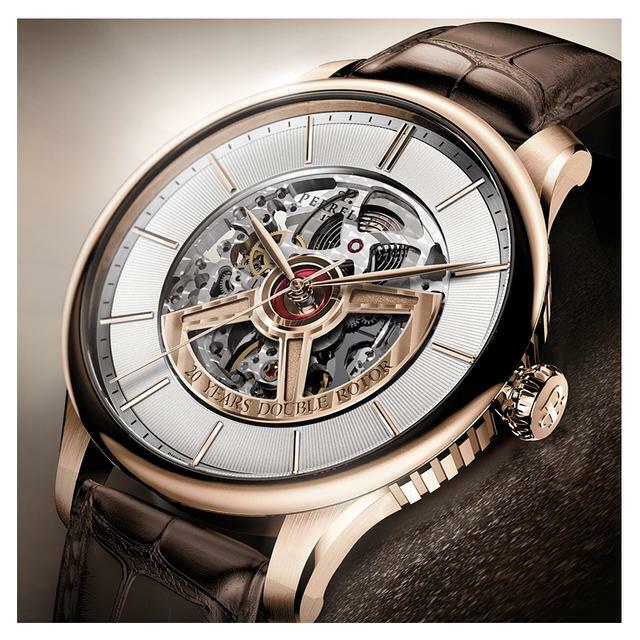 The many open-worked calibers seen at this year’s Baselworld continue a trend noted earlier this year in Geneva, where we saw many new see-through models and cut-away dials. 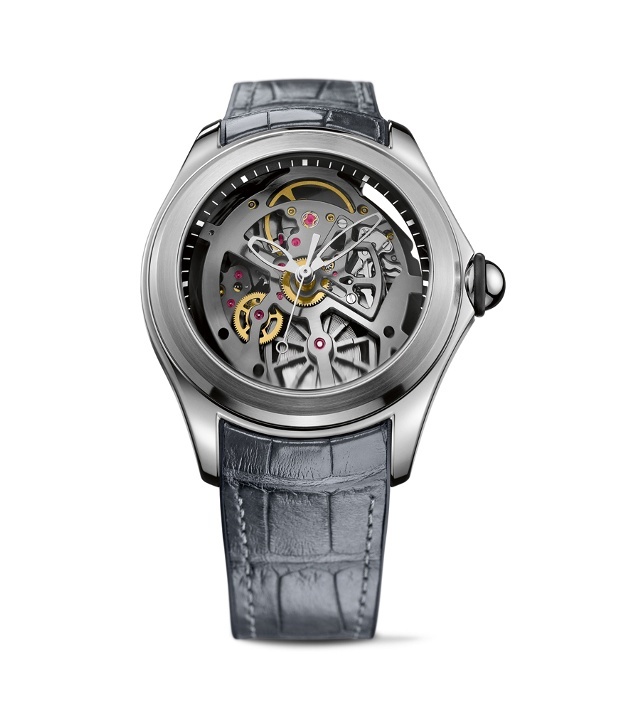 Interestingly, two companies (Arnold & Son and Corum) showed skeletonized watches with a new metallized caseback that essentially hides the wearer’s arm hair when the watch is worn. 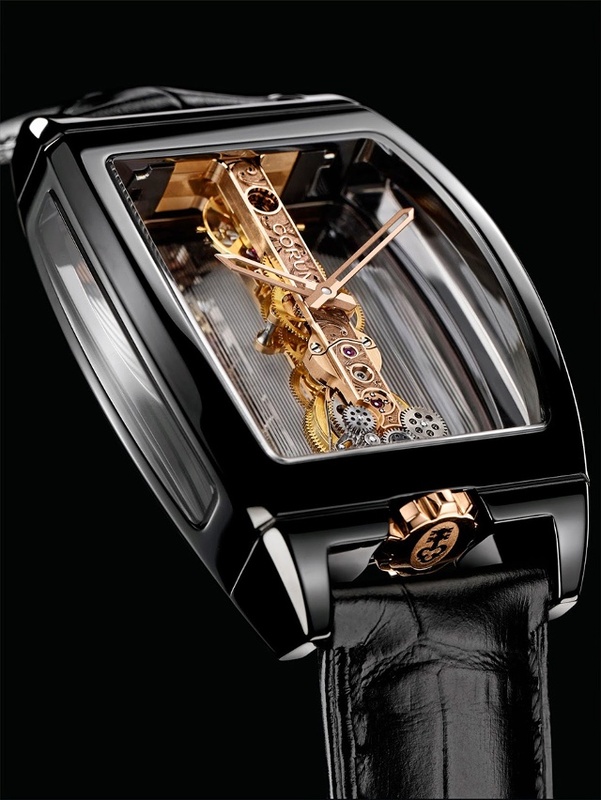 Corum is celebrating the thirty-fifth year since it began to offer the now emblematic Golden Bridge (originally created three years earlier by Vincent Calabrese) and the tenth year since the company re-designed the watch. This ceramic model maintains the manual-wind spirit of the original, but adds a (previously mentioned) caseback treatment, which Corum introduced last year on a linear-weight-powered automatic version of this watch. The caseback becomes opaque when worn but appears clear when off the wrist. 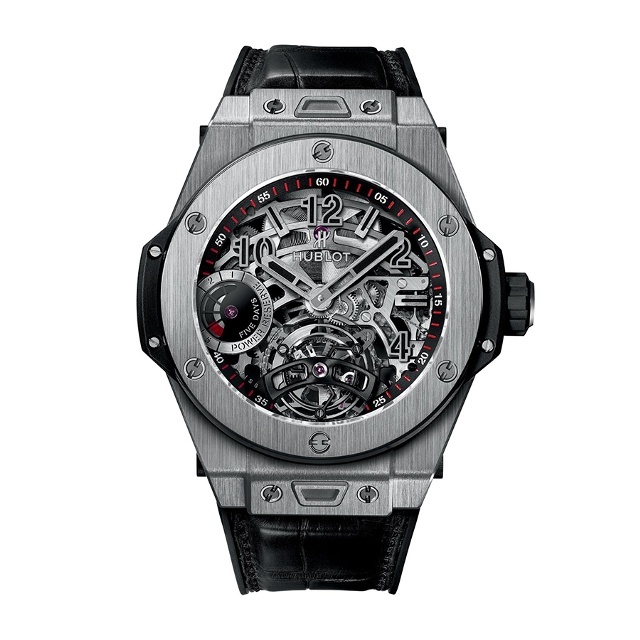 This is the first of the newer generation in-house Big Bang models to be equipped with a tourbillon. Its power reserve indicator, visible on the dial side, has been remodeled with new bridge and mainplate architecture. The 45mm model is available in titanium or King Gold, which with its added platinum glows just a big more than other gold alloys. 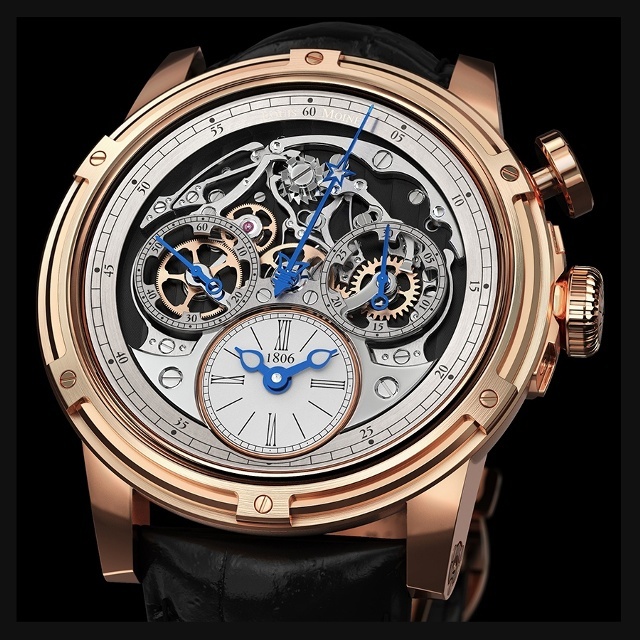 Louis Moinet’s Memoris Memoris shows off its monopusher chronograph’s column wheel and gearing at the top of the beautiful cut-away dial and skeletonized Concepto-built caliber. The watch’s timekeeping gears are actually behind the small dial in order to emphasize the fact that it was this eleven-year-old brand’s namesake who created the first chronograph in 1816. With this watch Louis Moinet has redeveloped practically every decorative item, with a new case, new hands, a new dial, a new oscillating weight, a new folding clasp. 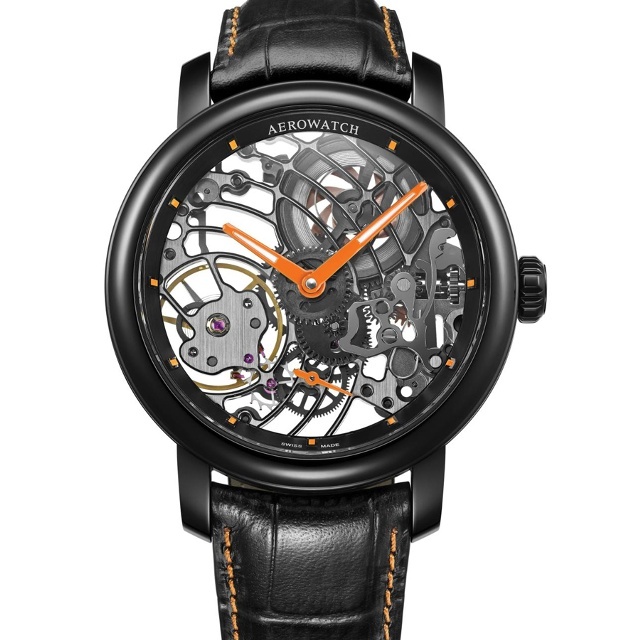 Created to celebrate this brand’s twentieth year, this skeletonized model features the company’s emblematic dual-rotor configuration, with one oscillating weight on each side of the watch collaborating to quickly wind the automatic Soprod caliber’s mainspring. Limited Edition models will be made in steel and in rose gold. Corum marks the return of the Corum Bubble, celebrating fifteen years since its debut, with this automatic steel-cased skeleton model and two other solid-dial versions. Measuring a hefty 47mm in diameter, the Bubble’s size is not quite as shocking as when its 44mm and 45mm original models debuted at Baselworld in 2000, but this automatic example still features its super-thick 8mm high crystal, one of the largest found on any watch. The crystal nicely magnifies the openwork movement. This new Carrera model displays the Heuer 01 caliber, developed from the TAG Heuer Caliber 1887 and named to honor company founder Edouard Heuer. This openworked model offers much that is new: TAG Heuer has colored the caliber’s chronograph column wheel red, has skeletonized the chronograph bridge and has blackened and skeletonized the rotor. 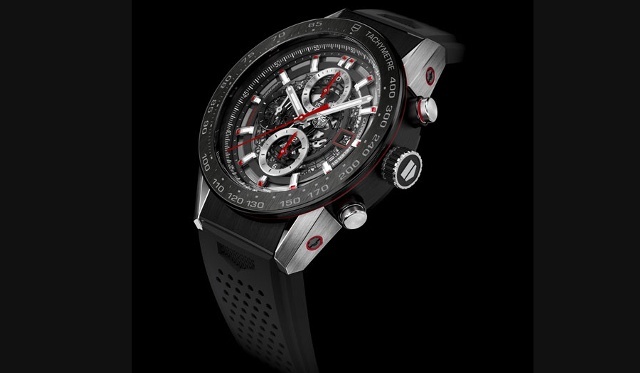 On the dial side of note the chronograph controls and the openworked date disc, both new sights on a TAG Heuer watch, particularly one bearing the Carrera moniker. One of three Gumball models from this independent maker, the new official timekeeper for the July 2015 Gumball Rally 3000, which starts in Stockholm and ending in Las Vegas. 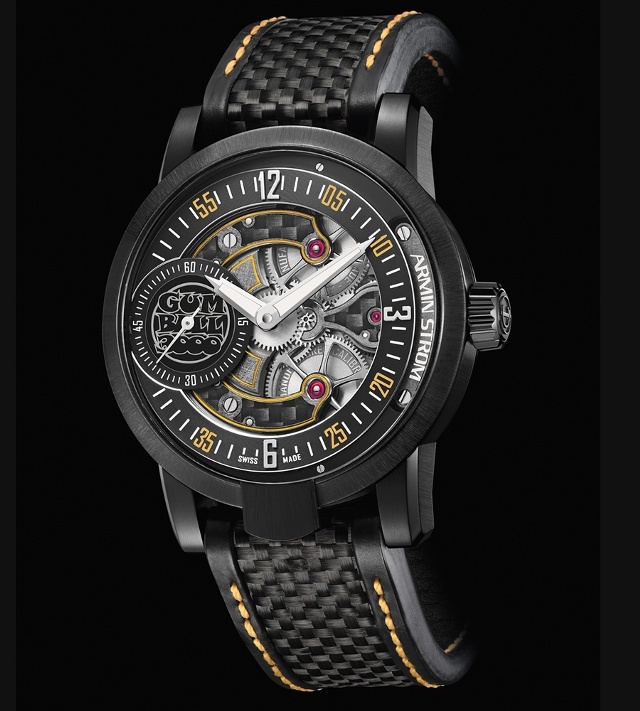 Armin Strom, which specializes in skeletonized movements, created this black PVD-coated stainless steel version with an in-house manual-wind Armin Strom caliber ARM12-GB build with an impressive ten-day power reserve. All three models feature the Gumball Rally’s logo with engravings, appliques and color treatments on the front and back of open-worked dials and movements. Fans of last year’s BR-X1 got a treat this year with this stealthier and much lighter version of that tribute to the Bell X-1, the first American experimental plane with a rocket engine to break the sound barrier. 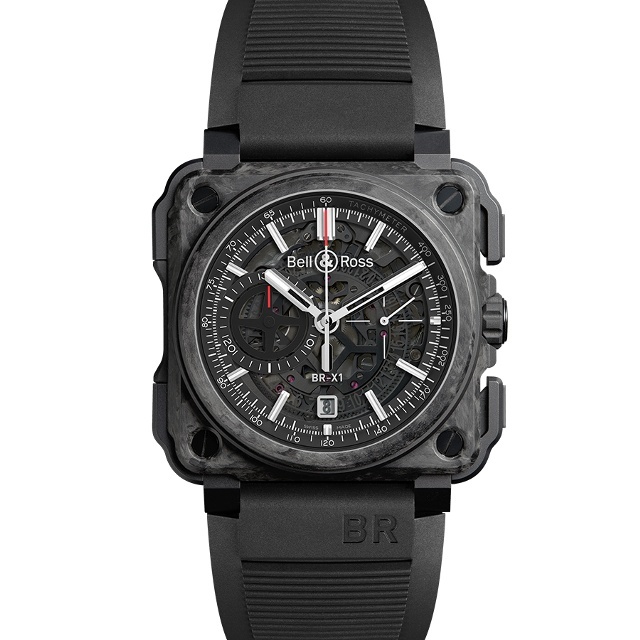 The carbon pattern on each 45mm case of the 250-piece limited edition will be unique. And clearly the skeletonized chronograph movement is also unusual: Instead of a hand, the minute timer on the chronograph function features an ultra-light aluminum disc meant to recall turbine blades. The latest iteration of this independent brand’s value-packed skeletonized watch collections, this bold timepiece features a skeletonized hand-wound Unitas 6490 mechanical movement. Its 45mm case is forged from PVD-coated stainless steel with a matte black bezel, and true to its name, the timepiece includes orange indicators and hands with luminous coating. Aerowatch also offers numerous classically engraved skeleton models. One of the highlight pieces at Baselworld 2013, the newest Time Pyramid features a skeletonized nickel-silver movement within a 44.6mm gold case. The in-house A&S1615 movement has won over many since its debut, and here is set with either a metallized or a guilloché caseback that hides the wearer’s arm (and its hairs) when the watch is worn. 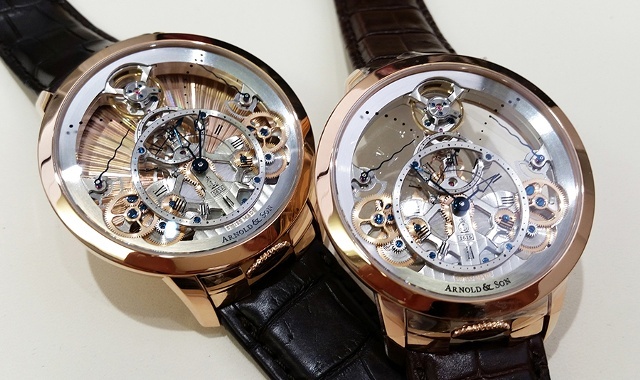 When the metallized version is off the wrist, the movement again floats between two sapphire crystals and can be seen from either side of the case. All parts and indications here are built on three levels, with the subsidiary seconds dial on the bottom, the hour indications on a sapphire crystal dial in the middle level, and a silver top ring for the minutes indication.